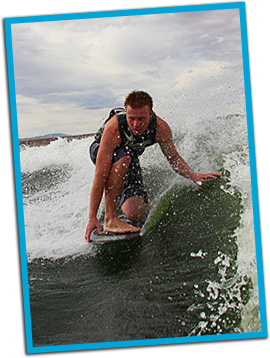 Utah Lake Wake board Sessions and quick-sets, Water Ski Lessons, Wake Surf Lessons, Wake Skate, Knee Board, Wake Board Camps in Utah for water sports and boating enthusiasts. The quick set program is new and can offer now that we have an on site location at Utah Lake Lindon Marina. Conveniant and haslte free show up at the dock and get your quick set in before or after work. This program is offered to help those who are trying to improve there riding but have a hard time creating time from work and other responsibities. Geting the boat and equipment ready and putting away many times takes more time that a person has. This offer is to help solve that problem for many of our clients. Goplay Utah Lake offer this program for all watersports, wakeboarding, water skiing, wake Skating and Wake Surfing.